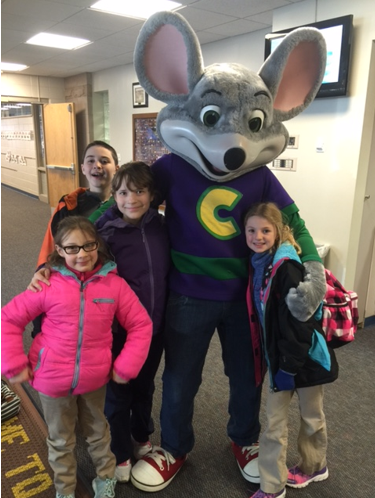 Chuck E. Cheese visited with the staff and students at Douglas MacArthur Elementary on Thursday, January 21st. DME would like to thank those families and individuals who ate dinner at the Greenwood Chuck E. Cheese’s Thursday night, which helps support our school. We appreciate your time and contributions to our school.